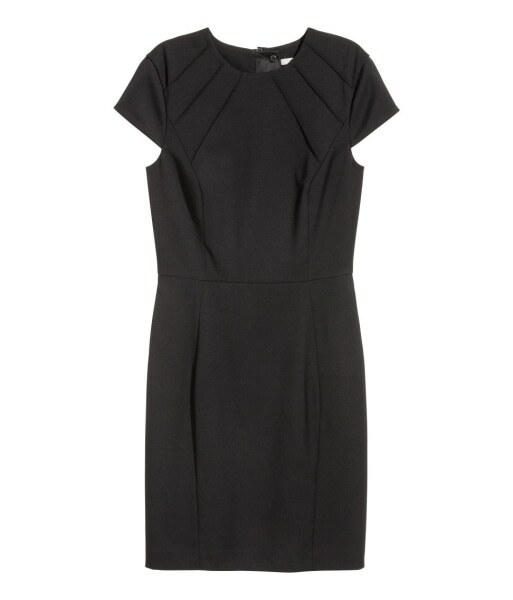 The perfect little black dress (aka the LBD) can be hard to find. It needs to be versatile, fit well, comfortable and of course, stylish. 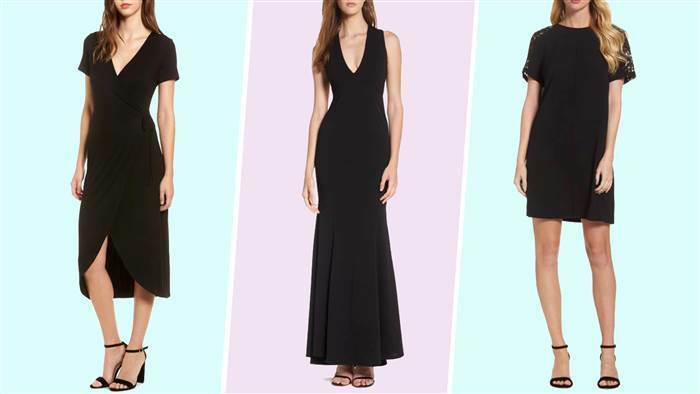 Fortunately, the style editors from The Today Show are showing us The Perfect Little Black Dress – 11 Stylish Options for Every Body—plus they are budget friendly. One of my favorites, the off the shoulder dress from Nordstrom is on sale right now. In my closet, I organize my clothes by color. I realized the other day that my “black section” is taking over. Isn’t just easier to grab a black dress or top before heading out the door? It’s almost always a safe choice, and if you accessorize it, you can wear it over and over. Prices and availability were checked at the time of posting, but we all know that prices go up and down quickly so verify before you make a purchase. All photo credits via The Today Show website. This knit midi dress from One Clothing can easily go from carpool to brunch to PTA — and it’s only $35! Nothing says power like a sleek sheath dress. The discreet paneling along the neckline of this one, in particular, adds a fashion-forward touch without taking away from its sophistication. 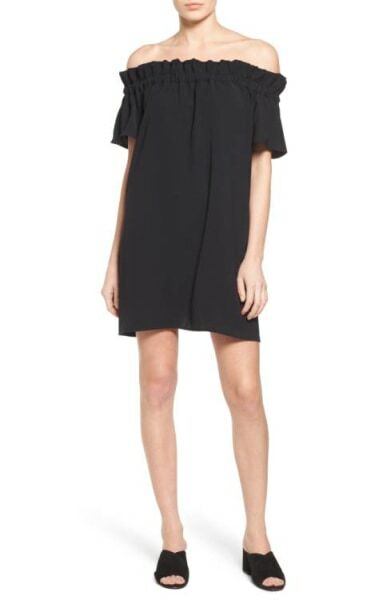 This classic shift dress is comfortable yet chic. And it gains a fresh feel from the lace detailing on the sleeves. Throw on a blazer for that afternoon meeting and then you are good to rock it out at happy hour. The one-shoulder trend doesn’t seem to be going anywhere soon! This dress is classy and sophisticated while still being fashion-forward. It’s cut in a flattering silhouette that’s both slimming and a little flirty. It may be hard to believe, but the ’90s are back with a vengeance. 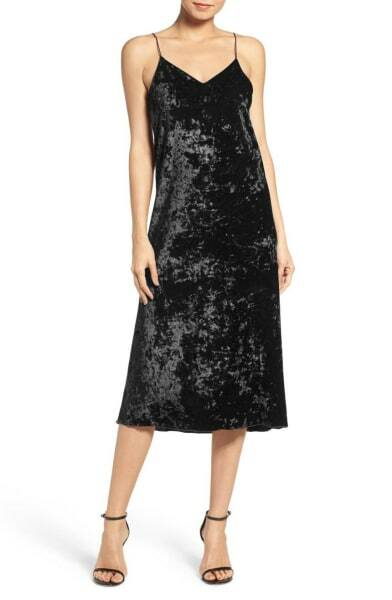 This crushed velvet slip dress is the perfect fashion-forward piece to wear out with a group of girlfriends and dance the night away. This knit racer-back dress from Anthropologie packs light (just roll it up to reduce wrinkles) and serves a multitude of purposes. Wear it as a swimsuit cover-up, out to dinner or throw on a jean jacket for a casual everyday outfit. While the shade is dark, the fabric is extremely breathable for helping to combat sweat. An off-the-shoulder dress is a light and easy warm weather choice. This dress from Pleione has a ruffled neckline that’s flirty but casual and can easily go from the pool to dinner without skipping a beat. Hang this LBD from Lane Bryant in your closet and you’ll never find yourself scrambling for that company or holiday party again. While it’s dressy enough on its own, you can also take it to the next level with statement jewelry or shoes. You’d be hard-pressed to find a more classic silhouette than this scalloped, lace sheath. The cut is flattering on all body types and appropriate for women of almost any age. It’s one of those dresses you can wear over and over (and over) again. A wedding is another event that can leave you spinning, or at least it could have until now. 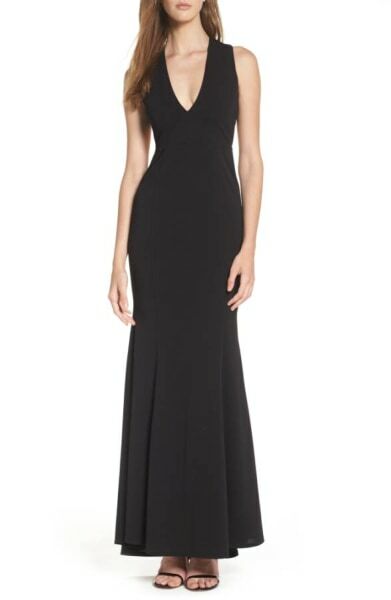 This v-neck gown from Heaven & Earth is the epitome of classic elegance and is fitted with a mermaid flare for added mobility on the dance floor.